A member of the captive flock. 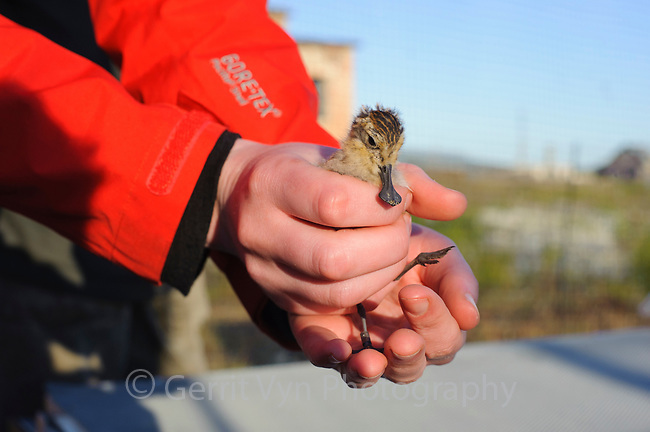 An almost fledged Spoon-billed Sandpiper chicks being examined by an aviculturist. Anadyr, Chukotka, Russia. July.